Construction on Last Chance Grade in 2017. 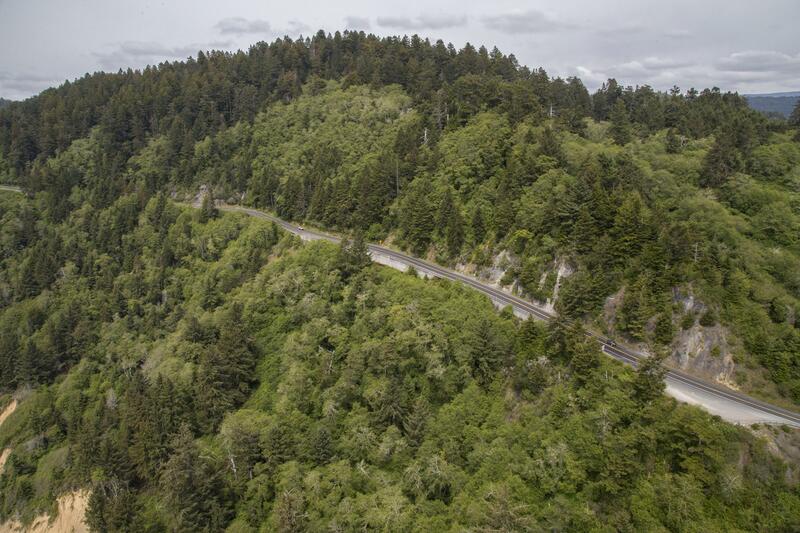 The stretch of Highway 101 is just south of Crescent City and the area surrounding this particular part of the highway is notorious for landslide activity since its inception in the late 1800s and it's highway construction in the 1930s. Not only has it prompted concern from Del Norte County residents, but it has also caught the attention of state and national agencies. 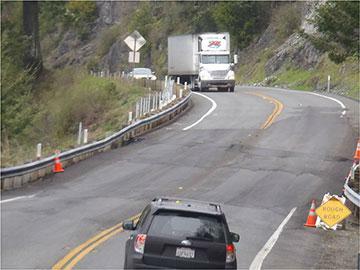 Charlotte Svolos, the secretary of the Del Norte Central Committee said the fact that there are so many landslides and that we’re heading into the rainy season could be dangerous for anyone driving through Last Chance Grade. "Last Chance Grade is a known unstable area. It could happen any day. The reason that they're even at the investigation stage that they're at is because they recognize that it is a threat and that the Band-Aid fixes are costing millions of dollars a year just to keep it at the level that it is now," she said. Svolos is referring to fixes the California Department of Transportation and the Federal Highway Administration along with several stakeholders have been overseeing. The area in itself has seen hundreds of landslides, including an active one that started in November 2016. "Because if that mountain falls down and people and children are on it when that happens, there could be incredible loss of life," Svolos said. However, Jaime Matteoli, a projects manager at Caltrans District 1, says safety is the main priority when it comes to monitoring Last Chance Grade. “Caltrans is committed to finding a long term solution to the movement of last chance grade and Caltrans is doing everything we can to find that funding. It’s important for folks to know that this is a very difficult project to find funding for to fully fund, because of the scale of the project and because of the type of work. There’s no good program that currently has the funds and is set up to do this sort of work on this sort of scale," Matteoli said. In total he estimated a project like Last Chance Grade would cost upwards up to $300 million dollars to complete and that doesn’t include the cost of labor, or the chances of more landslide activity and weather interference. 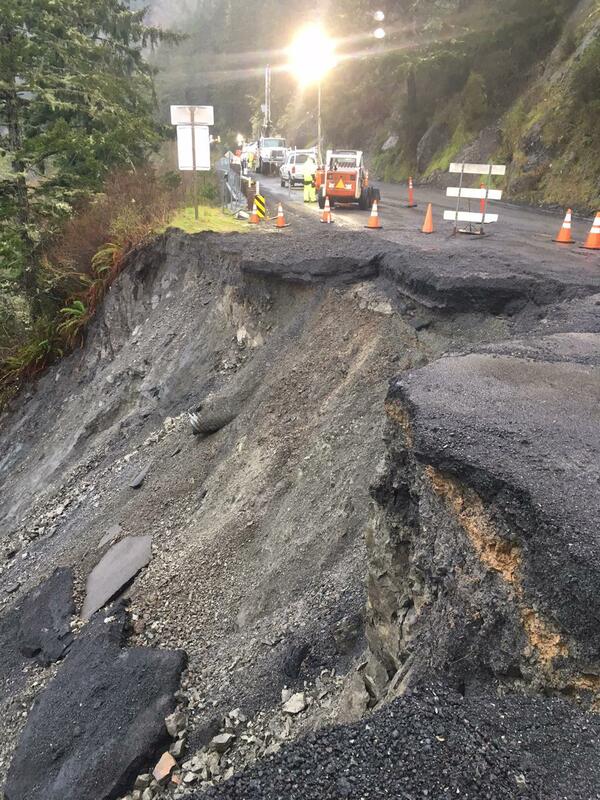 "We have the funds in place and the programs in place and the measures in place to keep the roads safe and to do any necessary repairs and monitor the road for the long term," Matteoli said and also added that if a major slide or road closure were to occur that they'd have a contractor and crews on site and the road would reopen in days, if not weeks. As of right now there are 7 alternative projects that Caltrans is considering as a permanent fix, one that maintains the existing alignment of the road, and six that require constructing additional routes. Before one project is chosen, Caltrans must start the environmental reviews of Last Chance Grade which also cost millions of dollars. Aerial photo of Last Chance Grade. Last Chance Grade stakeholders include political, tribal, regional and environmental organizations. Additionally, in March 2017, Congressman Jared Huffman visited the site and stated that a major road failure not only poses a serious safety risk but also threatened the regional economy. He continued to say that stakeholders are looking closely at what type of project is appropriate to fix the ongoing problem and also addressed tribal and environmental issues that would likely accompany any project. At the same time, a Caltrans study found a massive failure at Last Chance Grade cold cost the region $130 million annually and disrupt emergency transportation, commerce and travel. The project faces more obstacles due to the fact that the realignment area that Caltrans is hoping to construct a new road through is part of a UNESCO World Heritage Site, which means any construction or realignment project must also recieve permission from the United Nations. Approval of the funds needed for the environmental reviews is set to become available this summer in 2018.